Before the opening of Dong Ba Market, there was a grand market named Qui Gia Thi outside of Chanh Dong Gate in the reign of King Gia Long. The name Qui Gia Thi referred to the return of Nguyen Dynasty to Phu Xuan (Hue nowadays). In the summer of 1885, the capital city was attacked and Qui Gia Thi Market was burned to ashes. Not until 1887 did King Dong Khanh rebuild the market and rename it as Dong Ba Market. 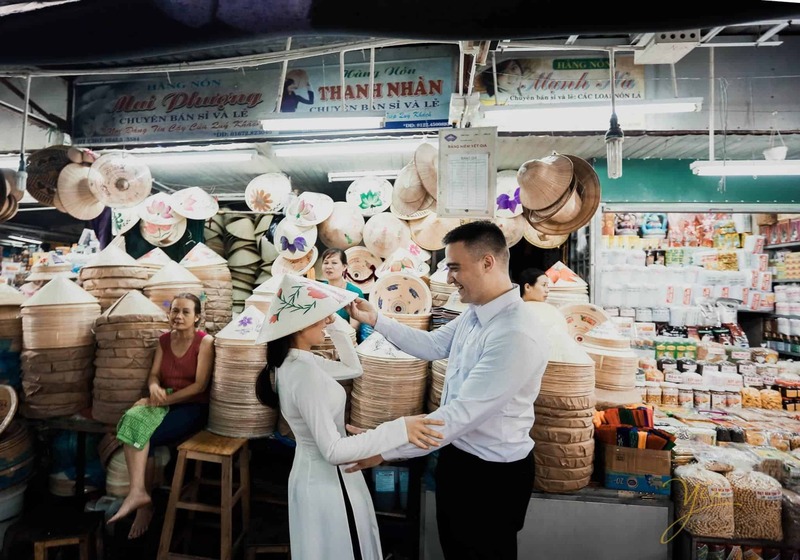 Since then, the market has functioned as the main resource of food for the palaces, hospitals, army camps and dormitories of the national universities such as Quoc Hoc, Dong Khanh, Binh Linh, Thien Huu, etc. in 1899, during the Western-style reconstruction project of King Thanh Thai, the market was moved to the nowadays position. Even though Dong Ba Market has undergone several projects since the beginning of the 20th century, nowadays, it still embraces many old features. Read more about Shopping in Hue. Bargain, bargain and bargain! It’s the first tip at Dong Ba Market that even local residents have to apply. Few sellers can speak English fluently, but it doesn’t matter since they can say the number and use the calculator. Start bargaining from half the price, especially if you’re foreigners. Buying in bulk will help visitors when dealing with the sellers. If one’s lucky and good at bargaining, Dong Ba Market can offer the best price since Hue’s cost of living is quite cheap. You can learn more about bargaining in Vietnam here.